What up? Furqan's First Flat Top will be in this exhibition. Go check it out if you're in Brooklyn. 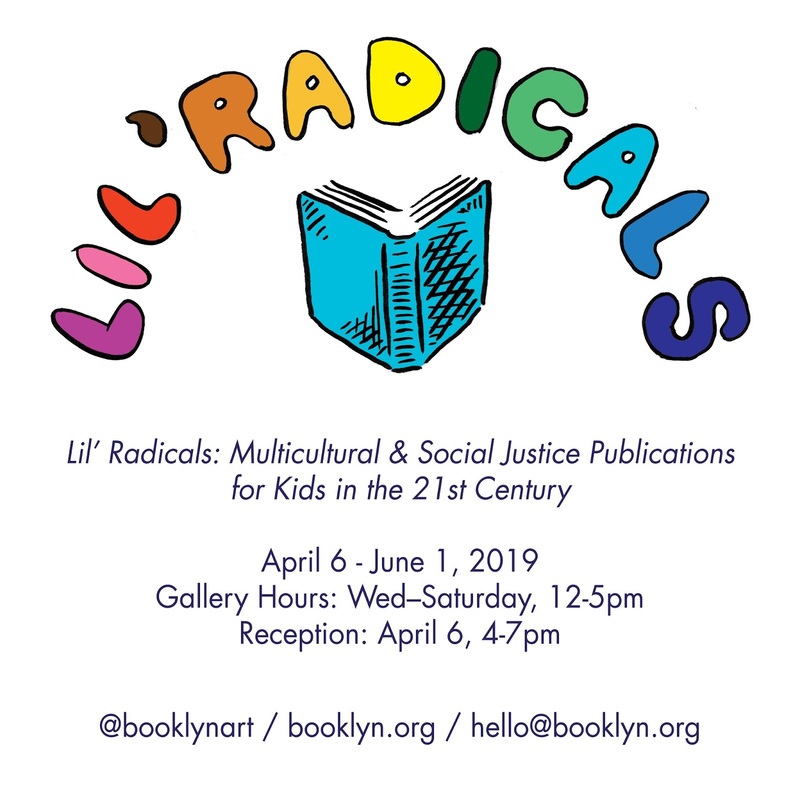 Lil’ Radicals​ is an exhibition and celebration independently published children’s books with a focus on multicultural affirmation, social justice education, and empathy development. For reading ages 3-12, these books were either self-published or published by small and independent presses throughout New York City, across the U.S., and in parts of Canada and Europe. Works on view present a dynamic range of stylistic and narrative approaches to children’s publications that will affirm, teach, and comfort children; challenge standards; and surprise adult readers. In recent years we have witnessed a new and exciting wave of storytelling in children’s literature in response to the wide diversity gap in children’s book publishing. Industry publishers have answered the call for diverse characters and marginalized histories, but tend to stay safely within the bounds of a conservative book market. We wanted to know, where are the diversity stories that ​aren’t ​published by the big houses? Well...we found them! Books on display include ​A Rocky Start​, ​by South Bronx public school educator and author, Anthony Tucker, who wrote the book for his students about his own experience as a young boy. Brooklyn based artist, Katie Yamasaki’s ​Fish for Jimmy ​tells an adapted version of her own family’s story in Japanese internment camps. The Lower East Side Girls Club in Manhattan brought us a selection of their zines made for and by middle schoolers. 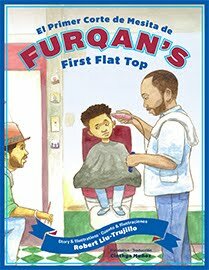 Robert Liu-Trujillo, a Bay Area author and illustrator, contributed ​Furqan’s First Flat Top​, a Spanish/English bilingual story of a young boy getting his first flat top haircut at a barbershop with his dad. Finally, ​Justice Makes a Difference,​ by Minneapolis based author and educator, Dr. Artika Tyner, tells the tale of a girl named Justice, who, inspired by freedom fighters, dreams of becoming a changemaker herself. The exhibition also includes small and independent publishers, such as ​Sari Sari Storybooks​, Bay Area publisher of children’s books in the languages of the Philippines; ​Flamingo Rampant​, a Toronto micropress producing feminist, racially-diverse, LGBTQ positive children’s books; and Savory Words​, a Deaf-centric publisher based in Maryland has two books on view: ​Deaf Culture Fairy Tales​ and ​Friends, ​a story about a deaf boy and a hearing boy meeting and learning to communicate. The books on display are complimented by a reading tent for kids, filled with a library of books on loan from Interference Archive and other donors, and a unique display of 20th century vintage children’s books. A limited inventory of featured books will be available for purchase in our gallery. We are hosting Saturday programming for kids and families throughout the exhibition. For the most up to date schedule:​ ​https://www.eventbrite.com/o/booklyn-17272663165. ​We welcome adults and children of all ages, identities, and abilities. If there is anything we can do to support your visit, please email us and let us know: ​hello@booklyn.org​. 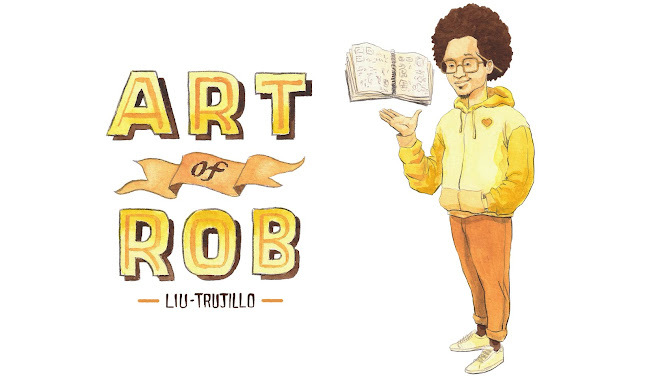 Lil' Radicals is organized by Monica Johnson, with research & curriculum by Olivia Siu. Special thanks​ to Zoe Beloff, Richard Van Camp, Daniel Tucker, Josh MacPhee, Aimee Lusty, and Interference Archive. 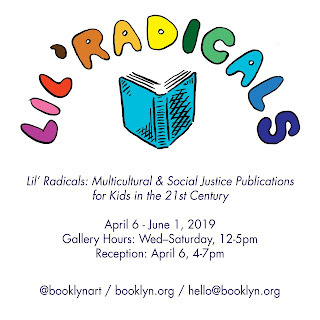 This exhibition draws inspiration from​ ​Social Justice Books​,​ ​Stories for Free Children​ and​ ​Stay Solid! A Radical Handbook for Youth​. This exhibition is made possible in part by the New York State Council on the Arts with the support of Governor Andrew Cuomo, and the New York State Legislature and additionally, in part, by funds from the New York City Department of Cultural Affairs, in partnership with the City Council.